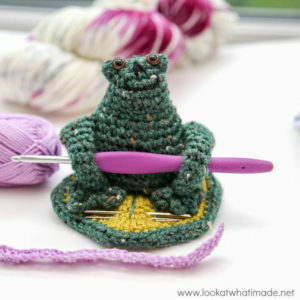 My Little Froggy Helper is the perfect crochet companion. He guards my hook and needles so that I always know where to find them. 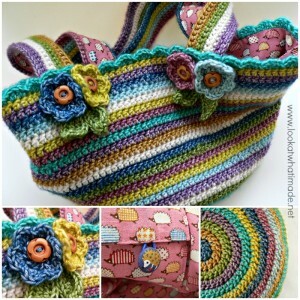 This gorgeous Jolly Chunky Bag is made with Scheepjeswol Stonewashed XL, using a gorgeous and simple pattern from Attic 24. This Veekender Scarf is the perfect take-along project. 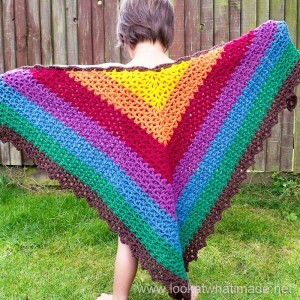 Instructions are clear and easy to follow, and the pattern includes an optional photo tutorial. 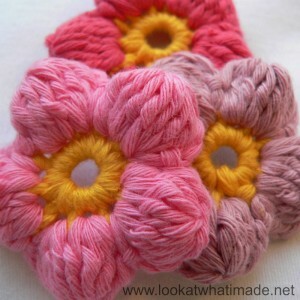 These crochet cluster flowers worked up really quickly and I love them! 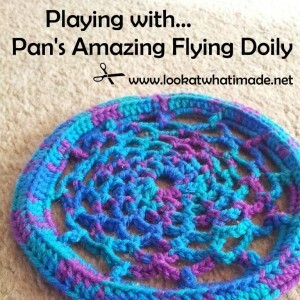 I have been meaning to make some since Kinga had her Christmas challenge, but I just didn’t have the time. This week I finally made a few of the cluster flowers and the pattern was so easy that I didn’t even need to look at the pictures. 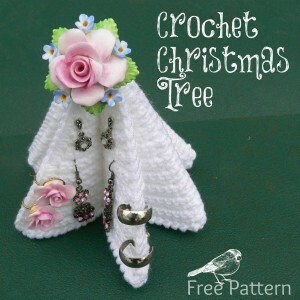 I made this tree using the Free Foldable Desktop Crochet Christmas Tree Pattern by my friend Pam Perkins. It is a very simple and whimsical pattern and I love it! Pam’s designs always speak to the child within me. I whipped this cream crochet necklace up in just 20 minutes using a pattern by the talented Marta from Creativeyarn.